GRID was formed in the summer of 2014 by Brian Harrigan (ex Swallow The Ocean, ex Circuit Of Suns) on guitars, and Matt Habina on drums. While writing songs for what would be their debut ep, Dave Cohn joined the band on bass to round out the lineup. The trio wrote and recorded 4 songs, and released them on an ep entitled “The Shadow Moment” in June of 2015. In the fall of 2015, the band started looking for a keyboard player, to expand on their sound. In December of that year, Andrew Binder joined the band on keys and cello. With the lineup solidified, “The Shadow Moment” was re-released with the addition of Andrew’s keys, in February of 2016. The band spent the rest of 2016, and the better half of 2017 playing shows and writing for their debut album. 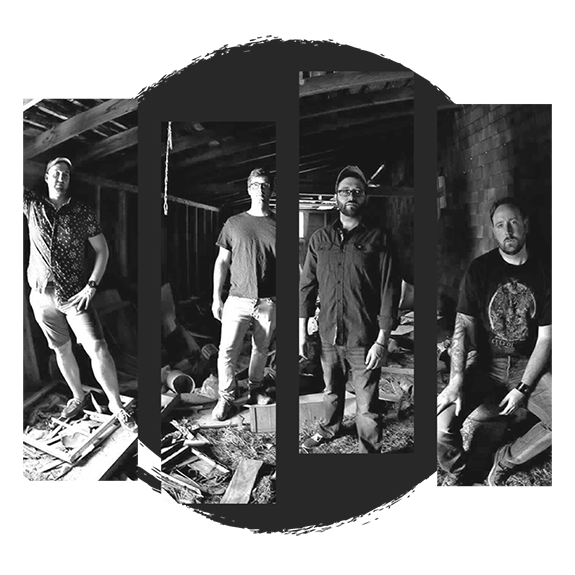 The band entered Beacon Soundworks studio in January of 2018 to record their debut record with Mike Usifer (Witchkiss, The Begotten). It was later announced that the title of the album would be “Overlook”, and it would be released on May 4th. On April 20th, the first single, “Thunderclap” was uploaded to the band’s Bandcamp page.